D.A.M.G. Ent. LLC. is proud to put our combined 20+ years of entertainment industry experience to work for any aspiring artist and company willing to invest in their brand, listen, and work hard for the success they desire. We offer a wide array of entertainment consulting services, including artist development, styling, stage presence, image consulting, poise, patience, etiquette, and media development. We beleive in giving the client confidence when behind the microphone during live performances, or in front of the television camera. If you need assistance with gaining more publicity, exposure, radio play, increasing your digital download sales, CD sales, or mainstream video marketing and promotions, please contact D.A.M.G ENT. LLC. today at (414)-687-3940. Staff is always available and ready to take your call to discuss your needs during our normal business hours, which are Mon-Fri, 10:00am to 6:00pm. We offer both short and long term consulting contracts, and our daily, weekly, or monthly retainer fees are negotiable for select artists and start up record labels, producers, bands, or groups. Our rates cover services including magazine ads and reviews, music copyrights, track placement assistance, promotions, digital and retail music distribution consulting set up, and brokering of music to major labels for producers and artists. We can also coordinate your next talent showcase, CD or single release party, or community fundraising event with an approved budget for project development. Please Note: Monthly Consulting Retainer fees are negotiable based on the scope of the project at hand and the needs of the individual client. D.A.M.G. Ent. LLC. 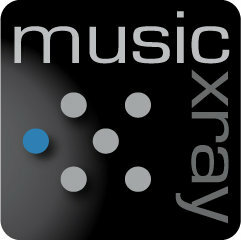 offers professional music reviews through Music Xray for artists who want a objective critique of their material. Please click on the logo below to connect to our Music Xray Portal and submit your music for review today! Schedule a live personal consultation for the opportunity to speak one-on-one exclusively with Mr. Dante Chestnut Sr.. (CEO) of D.A.M.G. ENT. LLC. Mr. Chestnut will personally review as many tracks as possible during your alloted time frame. Visits to your studio or office can also be arranged. Round-trip air, arranged and confirmed prior to departure date at your expense. Song &Video Review fee is $25.00 for 3 songs - Email Atrudamg@gmail.com for submission instructions. D.A.M.G. Ent. LLC. offers a variety of flexible payment options to fit the needs of all of our clients. After speaking with us to negotiate the services you require, please click our simple, secure PayPal link below to make the appropriate payment. D.A.M.G. Ent. LLC. appreciates your business and the satisfaction of our clients is our #1 concern!